The road to safer streets takes long-term vision, but it also requires smart planning and rapid action to transform dangerous streets today. 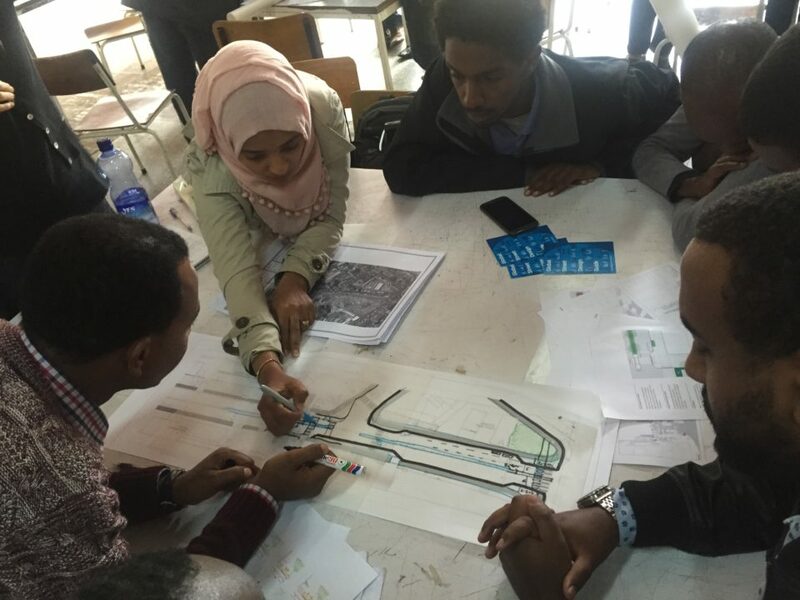 As part of the Bloomberg Philanthropies Initiative for Global Road Safety in 10 cities in 3 continents, NACTO-GDCI traveled to Addis Ababa, Ethiopia recently for a series of traffic safety workshops with more than 120 city planning and transportation professionals. 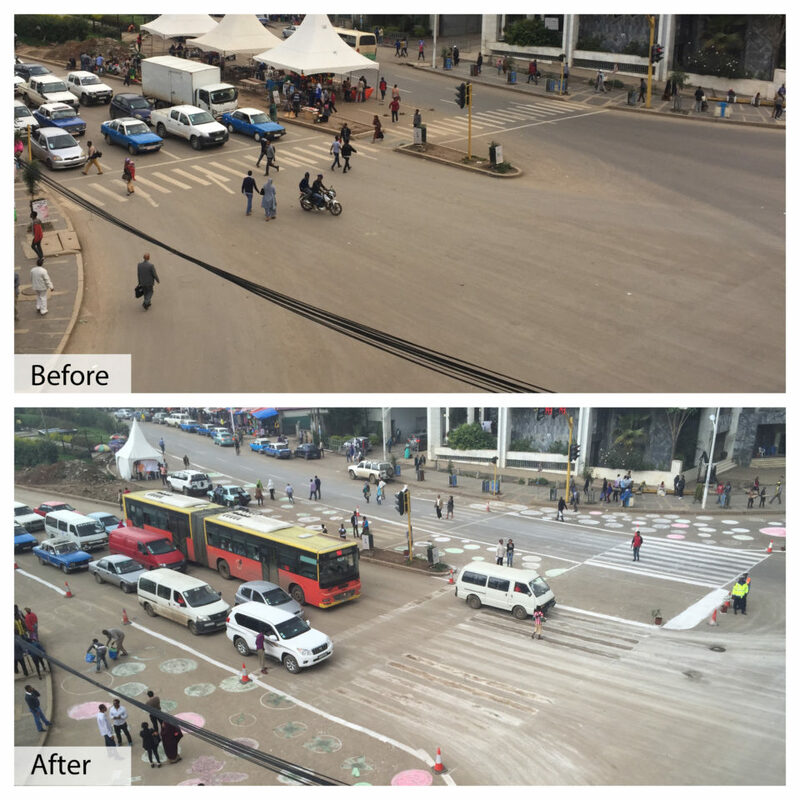 The East African nation’s traffic death rate is among the highest in the world, and local leaders have recognized the need for urgent changes so save lives. 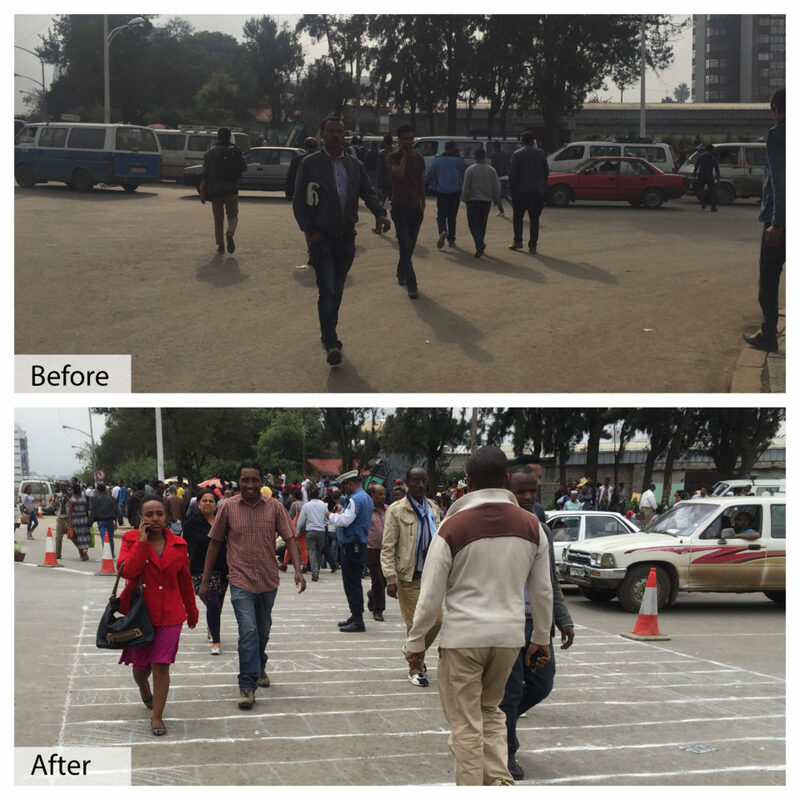 More than 80% of all traffic deaths and injuries in Addis Ababa have been reported to be pedestrians. 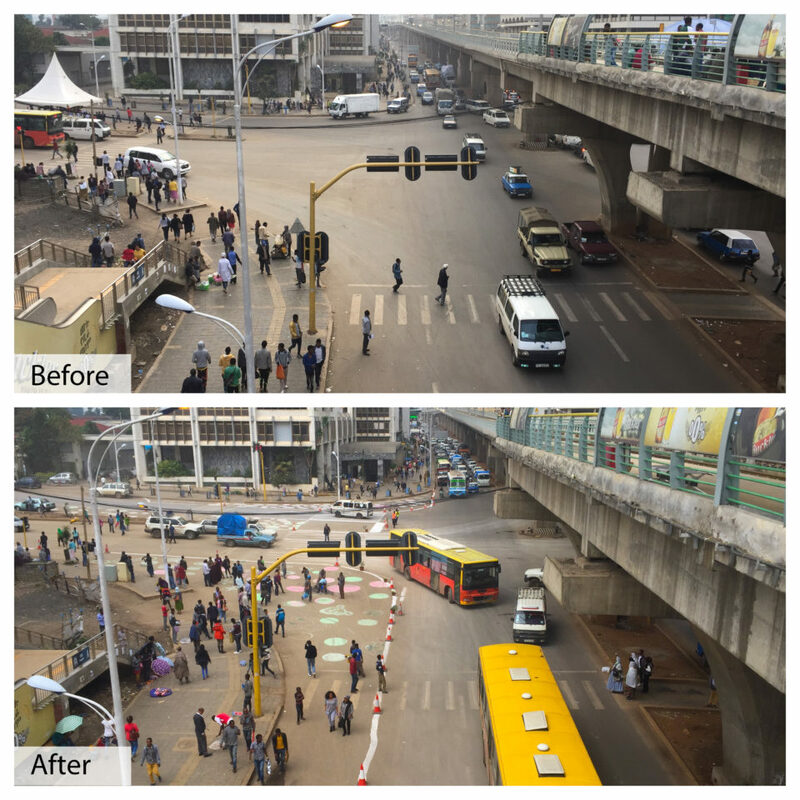 Duncan and Prakash worked with the Addis Ababa group to identify priority intersections where people were most at risk and where street redesigns could have the biggest impact—wide streets with poor or non-existent pedestrian crosswalks, narrow and overcrowded sidewalks, and roads with poorly defined lanes. The NACTO-GDCI team laid out street design tools and strategies for the group to use to measure, implement and evaluate their streets and develop ways to make streets and crossings safer for everyone who use them. The result were ideas that were 100% self-generated by staff from Transportation Programs Management Office (TPMO), Addis Ababa City Roads Authority (AACRA) and other agencies, consultants, students and staff from Ethiopian Institute of Architecture and Building Construction (EIABC), sub-city officials, and other key stakeholders. As we’ve seen in cities around the world, it’s not enough to plan for safe streets; planning must be followed by action. 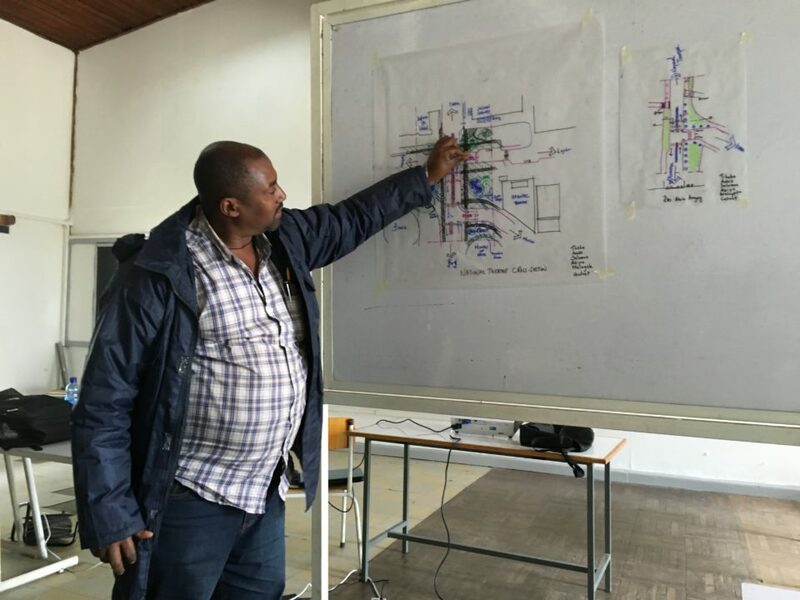 The design workshops were followed with rapid-implementation transformations using temporary materials, a first for Addis Ababa. 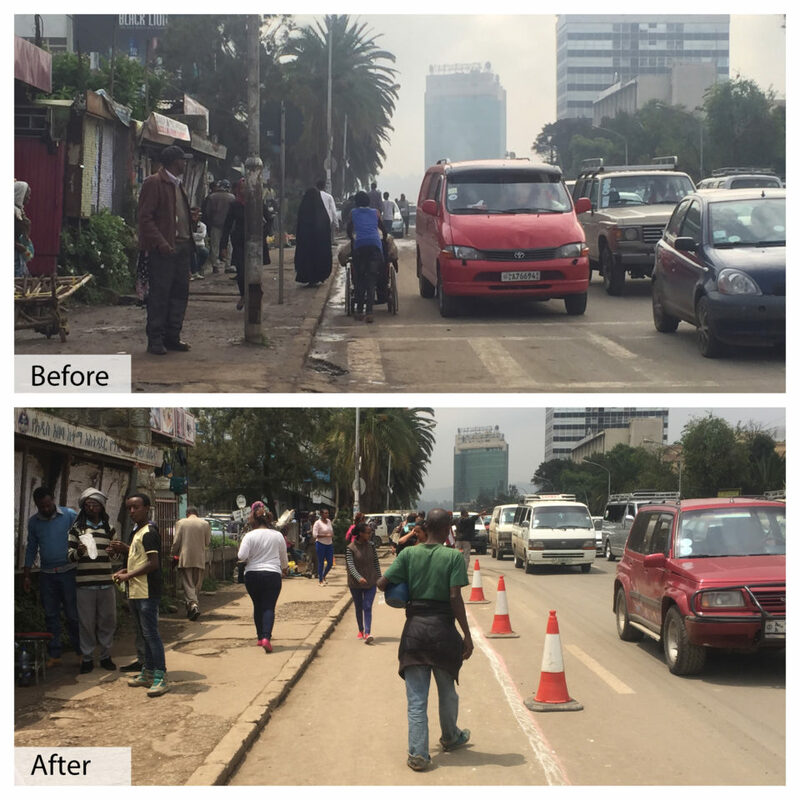 Changing the street for just one day using paint, bollards, chalk, and planters helped the group leapfrog over months of study, traffic modeling and planning—a process that may have produced a lesser result. Webe Shemelle Intersection: Our group of 40 transformed a medium-sized intersection along Webe Shemelle, reducing the street’s crossing distances incrementally over the day from 23m to 12m, creating new pedestrian space, dedicated zones for bus loading and unloading, and we made the intersection safer by reducing speeding cars and conflicts. Even some locals helped pitch into the redesign, filling in the space with chalk. We eventually ran out of chalk, teaching us a lesson for the next time, and we thanked the rain gods for holding off on a deluge until after we collected data to evaluate the transformation. Legare Intersection: Tapping even larger quantities of paint and chalk allowed us to reduce crosswalk distances, build wider medians, slow down traffic, create dedicated transit zones, and design artful public spaces at curb extensions. 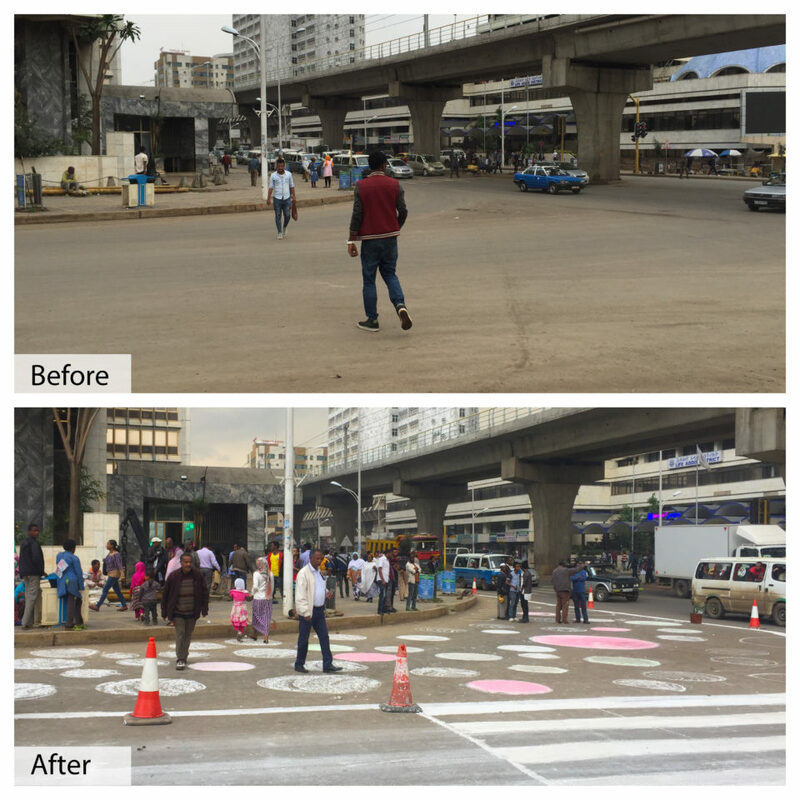 These redesigned crossings not only helped reduce speeding traffic but also provided our creative participants with a chance to explore their skills with some colorful paint. People immediately filled these newly created spaces, a phenomenon captured by these aerial images. Addis Ababa city officials were enthusiastic at the changes, saying, “The people are using these spaces like they have been here for over 20 years,” said Abraham Workneh of EIABC and, Engineer Fekadu of AACRA exclaimed, “We should make these more permanent.” Joining us in the effort, we were thrilled to have the support of partners such as Getu, Tolosa, Daniel, and Sylviane Ratte from Vital Strategies. That’s the next step. After the chalk and paint wash off, the need to start the process of launching long-term solutions becomes even more apparent. 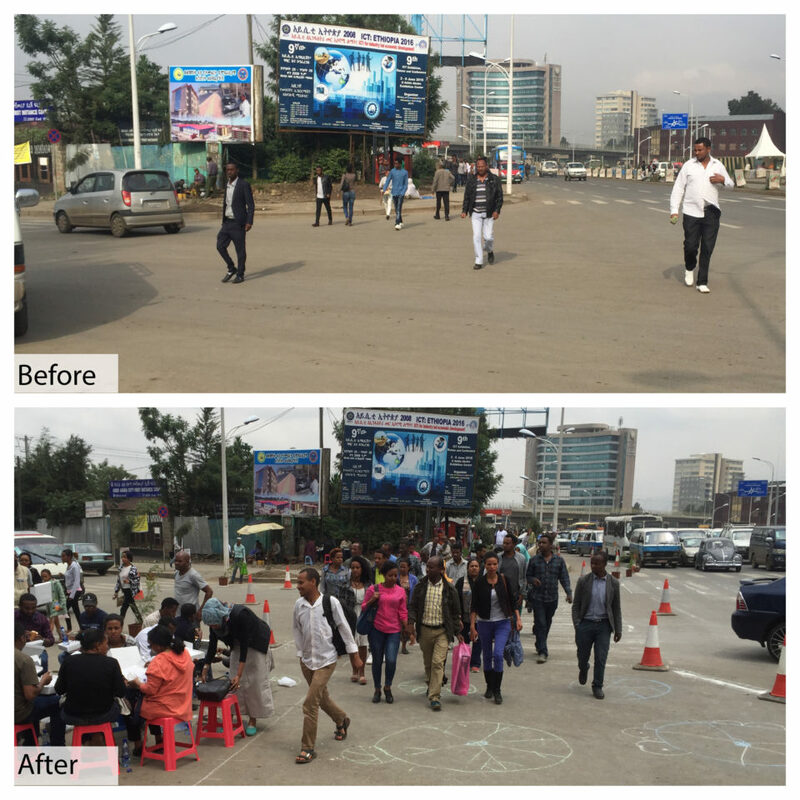 But having seen safer streets in action, Addis Ababa’s city officials are now armed with the experience and evidence they need to take the first steps.